The Building Interim Regulations 2017 (Vic) and its predecessors set out standards for construction and demolition of buildings within Victoria. However, as is the case with many Regulations, compliance can be dispensed with in appropriate cases. So, where a property owner proposes to construct something that will not comply with a particular regulation (or in some cases has already constructed something that does not comply) they will seek dispensation, or modification, in relation to the applicable regulation. if it ticks all the boxes, the consent of the MBS. If the MBS does not consent, they will prepare a report only. The procedure is not a mechanism by which a neighbour can comment on, or review, the aesthetic qualities or amenity impacts of development to an adjoining property. It is not a planning appeal. If a planning permit is required (which is very different to a building permit), it has already been obtained by this stage. However, there are some limited opportunities for neighbours to comment, but only apply in relation to the dispensation itself – not to the construction generally. The requirement for a report and consent is based on the need to ensure that the assets and infrastructure of authorities, the operational requirements of emergency services and the amenity of the community are not compromised or adversely affected as a result of proposed building work. In deciding whether or not to grant consent, the MBS will sometimes seek the opinion of adjoining owners (sometimes applicants will pro-actively seek consent prior to submitting their application to the MBS). However, there is no absolute requirement to give neighbours notice prior to the MBS making a decision – although the Minister’s Guidelines recommend that applications concerning siting and design of single dwellings should be notified to adjoining owners. If an MBS ultimately gives consent, there are no appeal rights by affected neighbours. In rare cases, there may be grounds for a Judicial Review of the decision by the Supreme Court, but this is rarely a practical or commercial option. On the other hand, if the MBS refuses to consent, an application for dispensation can be made by the permit application to the Building Appeals Board (the Board). If this occurs, adjoining owners are entitled to notice of the proceeding and to participate at the hearing (Anstee & Anor v Eyers & Ors  VSC 79). According to the Minister’s Guidelines, an MBS is encouraged to reject dispensation applications where neighbour’s objections are “not considered frivolous”, so that the issues can be ventilated before the Board. The power to apply to the Board is contained in s 160 Building Act. Section 161 sets out the powers of the Board, and section 162 sets out who and what the Board must consider in determining the application. (e) “not detrimental” to the public interest. In the case of something that has already been constructed, if dispensation is granted, such order does not “render lawful, what has occurred unlawfully” (section 16 of the Building Act 1993 makes it an offence to carry out building work without a building permit) – however in a practical sense, it is the mechanism by which an offending structure can be allowed to remain in place. Minister’s Guideline MG-3 (involvement of adjoining owners in siting appeals). Minister’s Guideline MG-12 (siting and design of single dwellings). 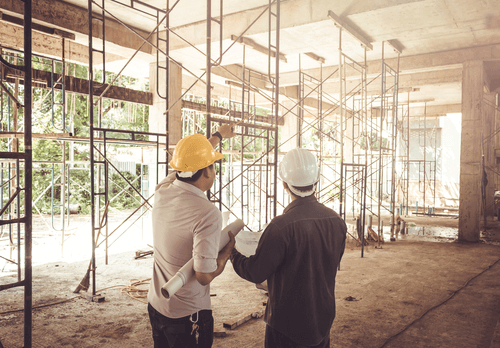 Building Act 1993 (Vic) – section 160. Building Interim Regulations 2017 (Vic) – Schedule 4. Colonial Range v CES-Queen (Gantry)  VSC 256 (5 June 2017) (Digby J) Interesting recent decision relating to a report and consent under Regulation 604. Anderson v Building Appeals Board  VSC 415 (21 July 2017) (McDonald J) Interesting recent decision relating to a report and consent under Regulation 414. Anstee & Anor v Eyers & Ors  VSC 79 (11 March 2011) (Osborn J) Now over six years old, but a comprehensive and very useful reference in terms of rights of neighbours, in this case concerning Regulation 417. List of recent section 160 modification applications by the BAB. Practice Note 2014-57 (Report and Consent).